Notably, 10 central agencies, including the Intelligence Bureau and NIA, will now have more sweeping to intercept, monitor and decrypt any computer. New Delhi: Congress leaders Mallikarjun Kharge, Jyotiraditya Madhavrao Scindia, Sunil Kumar Jakhar and Rajiv Satav on Thursday moved an adjournment motion over the order of Ministry of Home Affairs allowing 10 central agencies to monitor any computer resource. 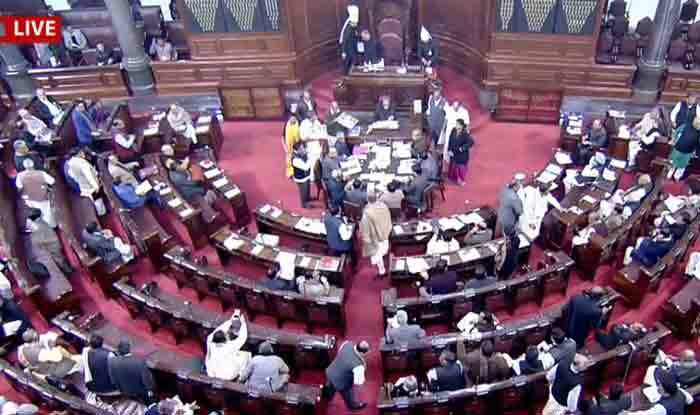 Further, NK Premachandran, KC Venugopal and Suresh Kodikunnil, PK Kunhalikutty moved an adjournment motion in Lok Sabha over the entry of women in Sabarimala temple. According to the order signed by Home Secretary Rajiv Gauba on December 2, 10 central agencies can now “intercept, monitor and decrypt any information generated, transmitted, received or stored in any computer”. The 10 agencies give the sweeping powers in the government order are the Intelligence Bureau, Narcotics Control Bureau, Enforcement Directorate, Central Board of Direct Taxes, Directorate of Revenue Intelligence, CBI, National Investigation Agency, Cabinet Secretariat (R&AW), Directorate of Signal Intelligence (in Jammu and Kashmir, North-East and Assam only) and the Delhi Police Commissioner. According to the order, the subscriber or service provider or any person in charge of the computer resource will be bound to extend all facilities and technical assistance to the agencies. Failing to do so will invite seven-year imprisonment and fine.